With the playoffs in full swing, you might be wondering how you can get in on the Super Bowl action this year, or maybe even just in the future. This event can really set your budget back, which is why it might take some time and patience in order to afford such an event. However, you can still make it a possibility, so don’t lose hope. These ten tips will help you maximize your savings when you plan a Super Bowl experience while also allowing you to get the most out of your memory in the making. 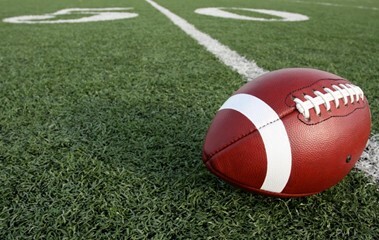 So, if you’re gearing up to go to the Super Bowl, check out these tips first. You’ll be surprised by how much money you can save. If football is pretty much your life during the autumn and winter months, then you’re bound to want to make the most out of the deals you can find. One of your best options is to purchase a season pass for the game. This will allow you to get more for your money as there will be a small discount on the price of your tickets. On top of that, you can actually sell back tickets if you don’t plan on going to the game. Some people will even sell the tickets to others, but you might want to check the rules before you choose to do this. Season pass holders also get first dibs on Super Bowl tickets. This means you’ll be offered more affordable options to choose from. With a season pass, you’ll also be able to lock in your ticket before the game sells out. Believe it or not, but there is a lottery for Super Bowl tickets. This doesn’t necessarily mean you’re going to walk away with free tickets for the biggest game of the year. However, it does mean that you can win the chance to purchase tickets at a more affordable price. You will have to look into the various services that run lotteries in order to give yourself a better chance at a winning. Of course, if you’re a lucky person then you might want to try your hand at winning tickets in other ways. Generally, radio stations and other broadcasting programs tend to hold contests for fans. So, don’t be shy and call in quickly for a chance at this dream come true. Utilizing your credit card for splurges isn’t always the best option. However, when it comes to the Super Bowl you might actually save some money by using your card. Of course, you will to do a little research to see if your card can work some magic for you. Many credit cards offer rewards when a certain amount of money is spent, so you might be able to get some cash back here. You may also be able to get a discount on your tickets for using certain cards. Best of all, some cards will offer interest free periods, especially if you’re new to the company. With any luck, purchasing your tickets on your card will ensure you get to go to the game. It will even give you the chance to pay off the expenditure in a timely manner. For most people, tailgating is a part of the football experience. This is especially the case when you go to the Super Bowl. The tailgating party is the best time to bond with other fans while also making the most out of the experience. Of course, the tailgating party is also the perfect time to get full before the game begins. If you plan on tailgating yourself, then consider buying bulk foods that are cheap. Hot dogs and chips are one of the best options. If you offer to share with others then chances are more people will share with you, too. Of course, many people are in it for the fun so you might find compassionate people willing to share without anything in exchange. Some people might also offer food for a fee. Even though this will set you back, it won’t cost you as much as the food inside. Football games can seem to go on forever. This can be particularly true when you’re at a football game in person and you’re starting to feel hungry. There are so many great smells around you, which makes it hard to say no. However, concession stand prices are really going to kill your budget. Instead of indulging, try to head back to the car during the half time show to eat. However, make sure you can get back into the stadium before you leave. One of the most expensive items is alcohol. So, if you can avoid drinking you’ll be better off. This alone will help you from over indulging in food and drink. Of course, if you need a little pick me up, then choose some food items that can be shared with your entire party. You might also buy the largest drink possible to share. This should cut back on your spending, while also allowing you to stay comfortable. It’s hard to resist grabbing a souvenir from such an event. However, if you can step away from the shops at the stadium. When the games are over and a winner is declared, there will be a sudden surge in merchandise for people to show off their team. However, a few weeks after the Super Bowl is over excitement tends to die down. Thus, you can easily find the merchandise you’d like to remember your trip at an incredibly low price. Instead of buying tees and other items, you might want to choose to frame your ticket stubs instead. This will save you even more money so you can recover financially from the experience faster. Let’s face it, with Super Bowl tickets ranging in the thousands of dollars range, you might not get the greatest seats around. However, this doesn’t mean that you can’t enjoy the experience entirely. Instead of feeling bummed out about your seats, or spending the game squinting, you might want to invest in some binoculars. This will allow you to see the entire game while also feeling the energy of the crowd. A set of binoculars doesn’t have to set you back much either, especially if you purchase them second hand. Just make sure to test out any secondhand items before you purchase them. When you’re looking at ticket prices, you might decide that you’re just not ready to make the expenditure right now. However, this can be a great jumping off point for you. Instead of going to the Super Bowl this year, you can always make it a goal to save to go next year. This doesn’t mean that you have to put back entire paychecks either. Instead, consider using some simple savings techniques. For instance, you can begin by saving a dollar for every week of the year. In January, you’ll start with one dollar for the first week, with a total of ten dollars for the month, while in December you will end the year with $52 and a total of $202 for the month. All of this should add up to around $1k banked. Another option is a bad habit jar, which will allow you to put back money to help prevent you from doing something you’d like to change. There are so many other savings tips to choose from though, so find something that works for you. Before you know it, you’ll have met your goal and will be ready to enjoy the next huge event. Generally, the Super Bowl takes place in January or February, which can bring some unpredictable weather. Of course, the weather will also depend on where the games take place. So, when you plan your journey make sure you take a look ahead at the forecast as well as what the weather is typically like. In most cases, you should pack a jacket and a hat to ensure you’re comfortable. However, you might also want to bring along a poncho that can fit over your jacket. Umbrellas aren’t allowed inside, so your poncho will certainly help you make the most of the experience if rain is expected. Sunscreen should also be brought with you, especially since you’ll be outdoors for many hours. You should also be aware of what you can’t bring into the stadium with you. This will help save you a trip back to your car or will save your items from being thrown out. One of the best things you can do before attending the Super Bowl is book everything you will need during the experience. If you need to fly there or take a bus, then grab tickets before the rush arrives. Purchasing in advance will save you big time, which will help make the cost less frightening. You should also book your hotel well in advance. As soon as you find out where the game will be then hop online and book your room. It might be wise to check out some of the other things you can do in the area. Sometimes, purchasing these tickets in advance can even help you with finances and planning. You might also look for Groupons or other social coupons for restaurants, so you can save even more money. The Super Bowl experience should be exciting and fun, opposed to stressful. These tips should help you enjoy the positive aspects of the experience, so you can make the best possible memories. Whether your team wins or loses, with any luck you’ll walk out of the stadium smiling from the amazing experience.